The last time RBI had issued banking licenses was 2004; Kotak Mahindra Bank and Yes Bank were established. We have seen the kind of wealth creation that they were able to create in just six years. However, RBI seems to have a concern on how to improve quality to existing banking services and make more and more part of India banked. Well, this time RBI is all set to hit hammer on the nail. Yesterday, it was announced by the finance ministry that it will be setting the stage for the Reserve Bank to roll out licenses after a gap of eight years. 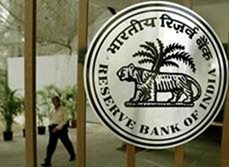 Post that, RBI is expected to make the norms public and invite applications for new private banks, a promise the Pranab Mukherjee had made in the previous budget. – This reform will definitely augment competition in this industry dominated by antiquated and inefficient public sector banks. – If the licenses given to corporate are misused (making only their cost of funds lower), the whole intention for new banking licenses gets defeated. – If the new bank’s network is not well penetrated into high cost rural areas, it will result underdeveloped banking infrastructure, illiteracy, mistrust & unfamiliarity with financial products. The official said foreign direct investment (FDI) in new banks may be capped at 49 per cent for now, as the RBI was not in favor of higher FDI. FDI will definitely help in taking the banking penetration faster. The success of UID project will also contribute to the financial inclusion. It will also further extend the geographic coverage of banks and improve access to banking service. It will be critical when the application of licenses will begin and what will be the qualifying criteria. One thing is sure; banking sector in India is set to sparkle over next few years. Banking sector has been creating buzz in the recent years.The sector is growing, nodoubts but what will happen to the public sector undertakings is a question.They are facing a very acute shortage of manpower with more than 60% of experienced officials to retire within the next 3 years.How will these public banks compete with all powerful private sector & that too with inexperienced staff.Govt has to take steps in increasing the salary of govt bank employees at par with other pvt banks to prevent attrition. Some companies like Rel Capital are waiting for a long time to get a Banking Licence. Its not a bad thing to issue new licences. However RBI is clever enough to have tough guidelines as to who can do Banking services in India. Suppose one firm is granted a Banking licence. Obviously it will open branches in metro cities, then it will branch out to other urban areas before venturing (if at all) into rural areas. This will give it an undue advantage. RBI should have some guidelines like ‘for every 10 branches a bank opens in urban areas, it should open 15 rural branches. This will help the new entities in understanding rural requirements as well as create level playing field to all banks, new and old.